Welcome back to The Ephemeric's 2015 Hot List. We hope you enjoyed our first entry in this year's Hot List covering the essential new films in 2015. This week we will be turning our attention to the year's line-up of television shows, in particular the brand new series starting in the next 12 months. It's being increasingly accepted that today it is television, not film, that provides the best medium for storytelling. After all when you have a dozen hours in which to tell a story it allows for far greater depth and complexity than when you have just two. In 2014 this trend continue, with some of the best groundbreaking drama appearing on the small screen. Old favourite Breaking Bad might be gone, but it's place we had two newcomers in Fargo and True Detective, both of which have been met with critical acclaim. More and more we are seeing A-list actors and directors switching to TV and this trend will only increase in the year ahead, with several shows featuring all star, often Oscar winning casts, something that a few years ago would have been almost unthinkable. Additionally the Netflix model of online streaming appears to be catching on with the traditional television networks, and plenty other companies besides. HBO, ABC, CBS are all pouring money into their own streaming equivalents, as are other more leftfield companies like Amazon and err... Tesco. Everyone and his dog seems to want their own Netflix now. More options can only be a good thing right? Wrong. If every network runs it's own distinct subscription service with it's own account that's a major administrative inconvenience on the consumer, not to mention the exclusive shows on each service that one will miss unless they sign up for each and every one of them. Costs could easily spiral out of control. A leftover from our list of last year, Telemark did not ultimately release in 2014, but was pushed back to the coming year. Telemark is a dramatized telling of the true story of the Norwegian resistance movement during World War II and their attempts to sabotage the Nazi production of nuclear weapons. This is of course the new TV project of Danny Boyle, the famed British director of Slumdog Millionaire, 127 Hours, Trainspotting, 28 Days Later and the 2012 Olympics Opening Ceremony. He will be joined by his frequent screenwriter collaborator Simon Beaufoy. With such talent attached to the project this is going to be one to keep an eye on. Now that Danny Boyle has officially put pen to paper, this 10 part miniseries does look like it will finally hit the screen in 2015. Parks and Recreation keeps going from strength to strength as it enters it's final season. From it's unassuming beginnings it has now become one of television's most beloved comedies of recent years, with a cast that is now reaching the upper echelons of Hollywood. Chris Pratt appears to be the man of the moment, while Amy Poehler is becoming a national institution. Parks and Recreation is certainly one of the smarter comedies on TV right now, brimming with light political humour and some of the most genuinely hilarious characters since The Office. The final season will make for essential watching in 2015. 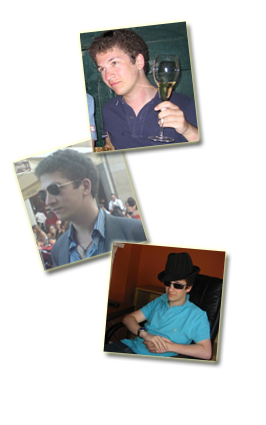 It will be sad to see them go, but at the same there's wisdom in going out before it starts to get stale. Now this one is interesting. 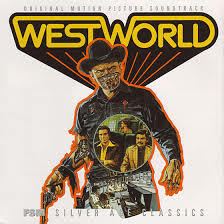 Westworld is a remake of the old 1973 sci-fi western film written and directed by legendary author Michael Crichton. This new adaptation will be scripted by Jonathan Nolan, quite the hot property in Hollywood now after writing the scripts for most of his brother Chris' films, as well as his own hit TV show Person of Interest. It's being developed by HBO, a network renowned for its high quality, with another big name JJ Abrams attached as producer. Meanwhile the impressive cast includes Anthony Hopkins, Ed Harris, Thandie Newton, and a number of other recognisable faces. There's a lot of talent attached and a lot of buzz hyping this as one of the big television events of 2015. The Ephemeric reckons campy material like this is very difficult to pull off in a way that appeals to everyone. We'll see when the show launches later in 2015. One of the funniest shows on TV unsurprisingly returns for a sixth season, but with big changes this time around. Archer is that rare TV show that's big on belly laughs and chock full of references and subtext for more sophisticated humour. After last year's bizarre reboot as Archer Vice, which saw the team transition from spy agency to drug cartel, things will be getting back to normal in the new year, which most will agree is probably a good thing. Interestingly the showrunners have decided to ditch the spy agency name "ISIS" for obvious reasons, word is they'll take the high road and not reference this on the show. Probably for the best. Regardless of the setting, the show's trademark wit and satirical humour remain. The new season starts in January. Brad Falchuck and Ryan Murphy are on a roll. First they created the high school TV show of a generation in Glee, then they redefined the mainstream horror genre with the wildly successful American Horror Story. Their newest creation American Crime Story is intended as a companion piece to the latter. The charm of American Horror Story lies in each anthology's treatment of classic American horror folklore, breathing fresh life into old tropes. American Crime Story follows the same design but with regards to true crime stories. It is fitting then the show will start with the crime story that to this day is arguably the most embedded in the national psyche, the trial of OJ Simpson. Oscar winner Cuba Gooding Jr takes the star role, and is supported by an all star cast that intriguingly includes John Travolta, David Schwimmer, and Sarah Paulson. The show is set to debut in late 2015. Wolf Hall is an adaptation of the best selling Hilary Mantel novels covering the rise to power of Oliver Cromwell and the English Civil War. This BBC miniseries will be told in six episodes, presumably leaving an ending open for a second season, considering the series of novels is not yet complete. Old Etonian Damian Lewis of Homeland fame takes the role of King Henry the VIII while Mark Rylance will play Cromwell himself. The solid cast additionally includes Jonathan Pryce and Anton Lesser. Early buzz is very positive. British TV has a penchant for high quality drama, and the source material doesn't come any better than Mantel's Wolf Hall. The show is set to start in the UK in January. It's still one of the best shows on TV (or Netflix anyway), and the best political TV show since the West Wing. Now House of Cards is back for a third and possibly final season. Kevin Spacey et al return, fresh from the latest round of awards and accolades. There had been much speculation as to whether this season would even happen, but House of Cards has become a flagship of sorts, not only for this new wave of high quality, A-list drama, but for television streaming as a whole. It speaks volumes that the talent on this project are so keen to keep working on the show, they realise that they're involved in something special. Once again all thirteen episodes will be released simultaneously in February. Arguably the biggest television event of 2015. After more than 30 years in late night TV, David Letterman is retiring from the Late Show. His replacement will be none other than Stephen Colbert, a comedian who has in recent years become one of the most venerated personalities in the media. During his time at The Colbert Report, Colbert has created some of the most significant satire of this generation, building a reputation not only for great comedy, but for producing truly poignant and revelatory coverage of politics and current events. 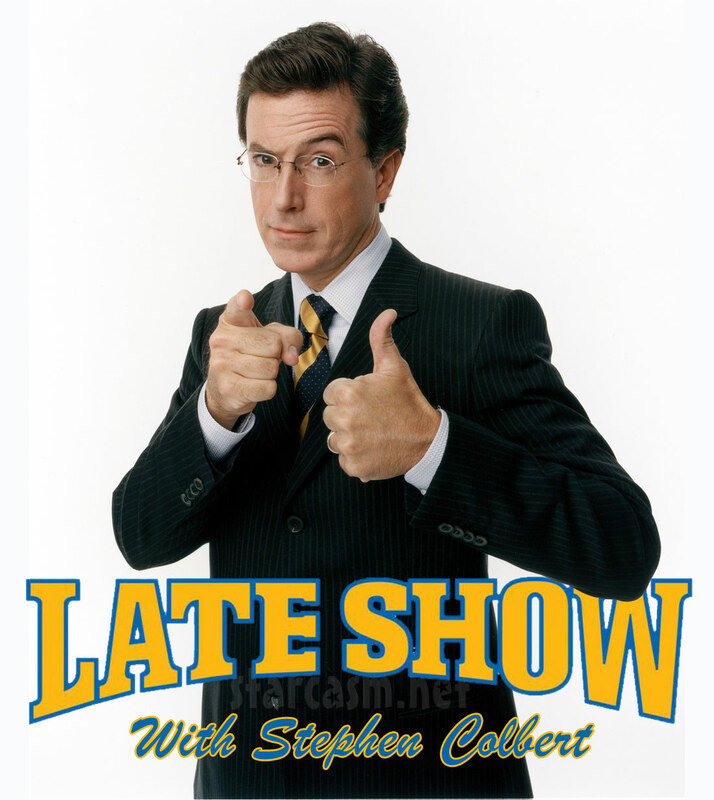 Colbert clearly has big shoes to fill when he takes over the Late Show starting in September, but of all the personalities currently on TV it's hard to think of one more qualified than he. 2015 will see a wave of new original programming from the awfully rebranded Syfy network. It's hard to say how good any of these shows will be given the lack of a proven track record, but one that has us pretty excited is the adaption of Arthur Clarke's novel 3001. 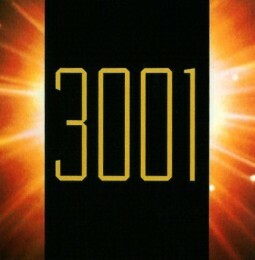 Stanley Kubrick's 2001, made concurrently with Arthur Clarke's novel, is widely regarded as a landmark film, but few are familiar with the sequel books that Clarke went on to write, including 2010, which was ultimately adapted into a less successful film, and the latter two 2061 and 3001. 3001 is the final chapter in the saga, and while many attempts have been made to adapt it and 2061, until now it hasn't managed to come together. Few details have been revealed so far, but Ridley Scott is attached as producer. Such an ambitious and high profile project can be seen as a real statement of intent from Syfy. We'll be keeping a close eye on it. Unsurprisingly after the show's glowing critical reception and multiple award wins, a second season is on the way. Season 2 looks set to be a 1970s-set prequel, with an entirely new cast including Patrick Wilson, Ted Danson, Kirsten Dunst, Nick Offerman, and Jesse Plemons. It has yet to be seen just how this prequel miniseries will fit into the larger picture and relate to its debut season, but if it's half as good then there's reason for us all to be very excited. So there you have it folks: 2015 in television. Tune in next week for the essential new music of the year!